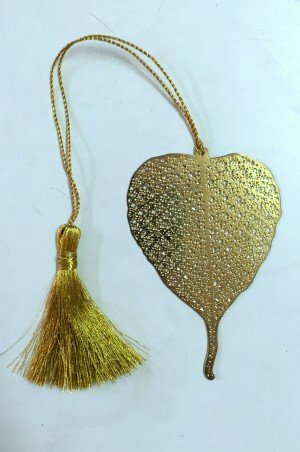 Remarks:•	Golden metal craft bookmark with a “Round Leaf” pendant. 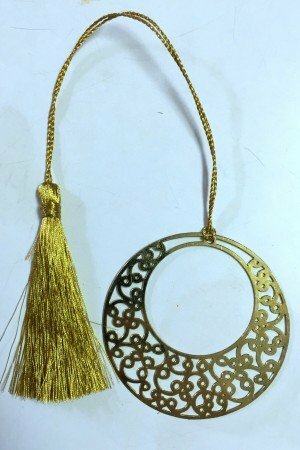 •	Fine cut Indian design. •	Manufactured by LUVINDIYA. 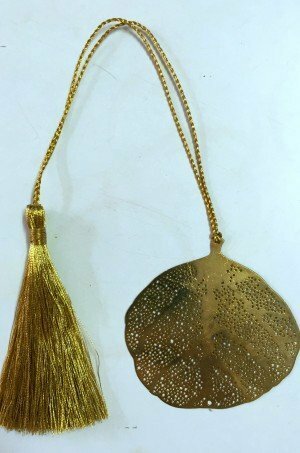 The metal pendant of this bookmark is cut thin and is therefore light and elegant in its design. 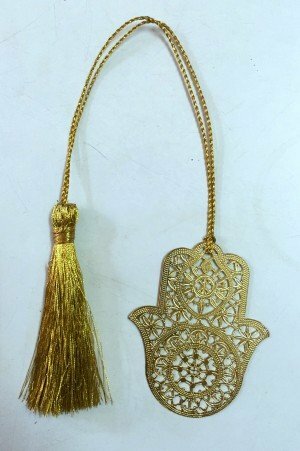 The bookmark can also serve as a decorative pendant or it can be used in various forms of handicrafts, jewelry and decorations. There are other designs of metal craft bookmarks available.